Dealt with Vlad Sidorenko and it was a great experience. We agreed on a price for me to sell him my car and the drop off and payment was incredible fast and easy. The pricing was aggressive and the transaction was easy. I would do it again. 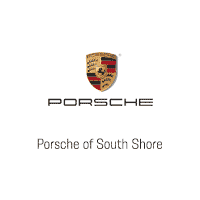 It was a pleasure working with Farzan and Justin at Porsche of South Shore. They got me an incredible Cayenne with all my specifications. They were friendly, courteous, and professional and made for a seamless car shopping experience! I recommend them without reservation!